Pre - heat your grill to a medium temp. Place frozen chips on the grill and after 10 minutes add the cod fillets. Wait until the chips and cod is piping hot (should take another 5-7 minutes) and place onto your plate. Place the lemon on the grill for a couple of minutes whist you plate up. 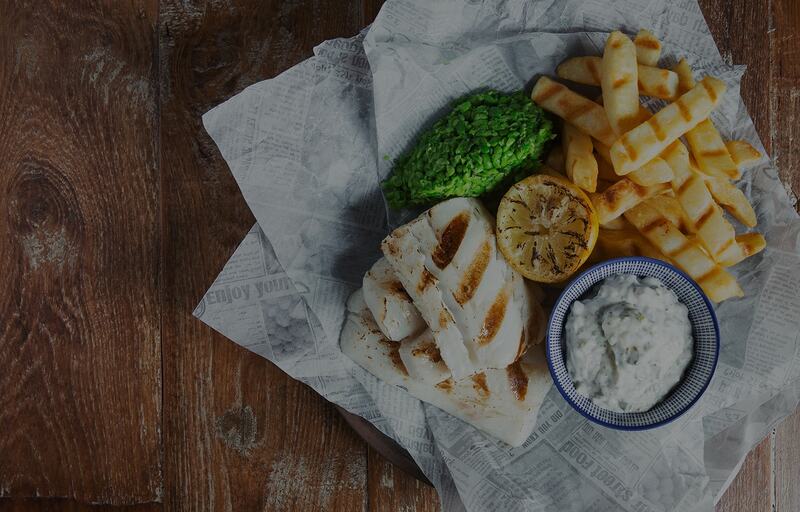 Serve your cod and chips with tartar sauce, mushy peas and grilled lemon.